Actual cable terminations from the Western Telegraph´s Cable House at Colonia (Uruguay). The cables shown joined Colonia with Punta Yeguas Cable House in Montevideo, along the River Plate, total length about 88 miles. Both are single core, “Telcothene” insulated, with brass anti teredo tape. 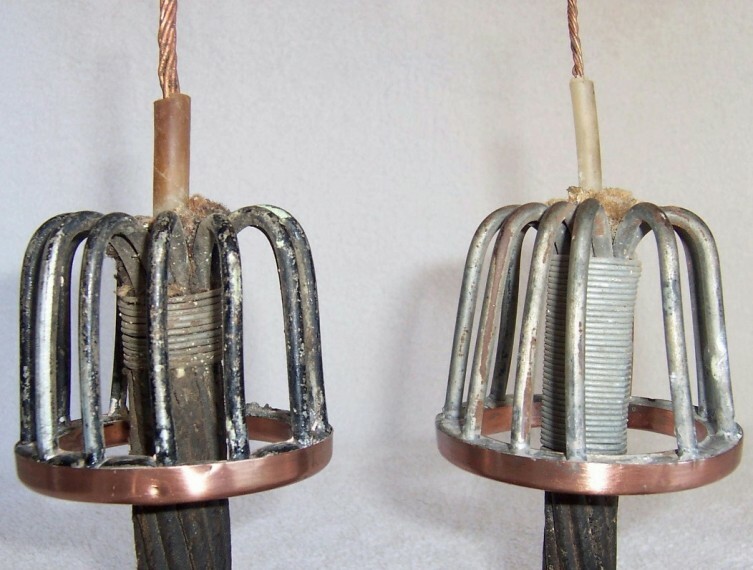 The one at the left has each sheathing wire individually taped and its cross section is large compared with the one at the right..